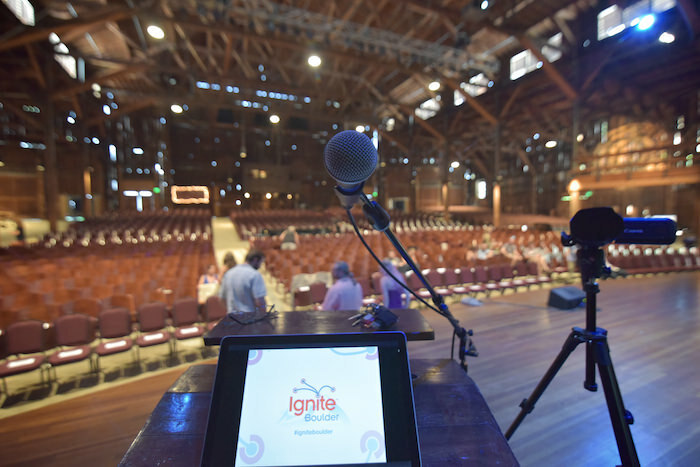 Ignite Boulder 26 took place July 2nd 2015 at the historic Chautauqua Concert Hall. We supported the Growe Foundation as our non profit we donated our proceeds to! Almost enough was donated to build an entire garden for a school! We will post a photo here when it is built! The host was Andrew Hyde. Thanks to the sponsors for helping us make this event happen!